Mission: The purpose of the WSU Extension Master Gardener Program is to train volunteers to be effective community educators in gardening and environmental stewardship. Master Gardeners provide information generated from research at Washington State University and other university systems. Master Gardeners are volunteers who enjoy plants and gardening and have taken the WSU Master Gardener Training. They have access to the experts and research resources at Washington State University! Master Gardeners are a diverse group of people with a wide variety of knowledge, skills and interests. Our membership is currently over 100 individuals. What is the MG Foundation of Clallam County? The MG Foundation of Clallam County (MGFCC) is a 501(c)(3) non-profit organization. 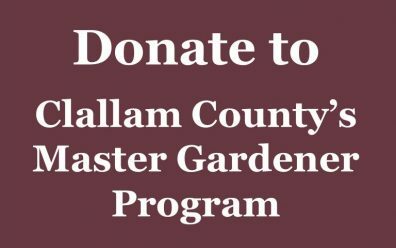 MGFCC raises funds to support the Clallam County Master Gardener Program by conducting a plant sale and garden tour every year.